Uncomplicated, comfortable jackets, suitable for all occasions. Even beginning sewers can tackle such garments because they are simply closed by a single snap fastener! They range from summer wear in cool linen to winter warmth in non-fraying fulled fabrics that need no edge finishing. 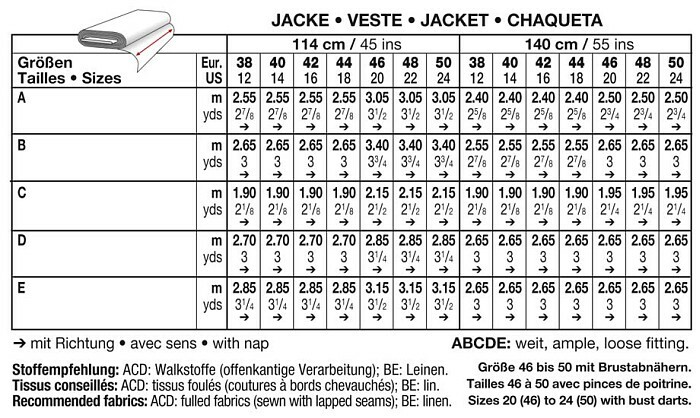 One pattern offers two versions in various lengths, plus different details such as pockets, collars and hoods.